Along with apple crumble, bread and butter pudding, and Eton mess, trifle is one of those classic British desserts. First created about 400 years ago, it is traditionally layered with sponge, fruit, jelly, custard and double cream. 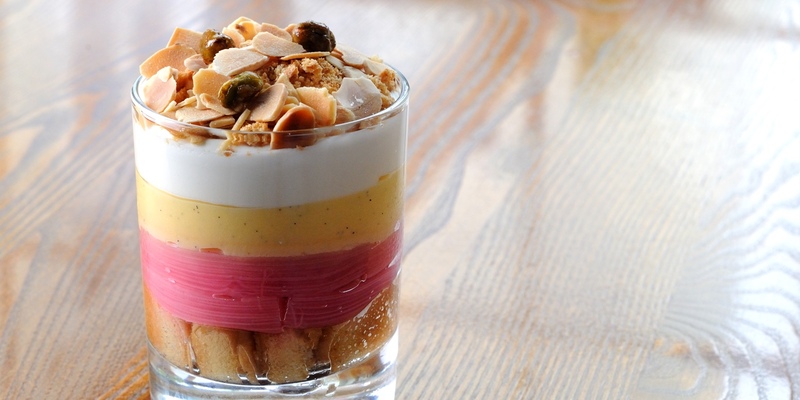 This trifle collection showcases many new variations on the retro dish, such as Simon Hulstone's blackberry trifle with pistachio sponge, Marcus Wareing's Lord Mayor's trifle and Karen Burns-Booth's inventive Celebration trifle.